Blake Shelton is hitting a big stride. Fresh off his ACM co-hosting duties the rising country superstar is set to release a new single Honey Bee . The song is a bit of an uptempo romantic tune. After some hit and misses with his singles over the early part of his career Blake is now a superstar formula. His last three singles have all reached #1 on the charts and five of his last six songs have reached the top spot on the country singles charts. That’s some impressive chart performance. Honey Bee fits right into the wheelhouse of modern day country superstars. The song is accessible and simple. The melody is playful and easy to sing along with. Everything is there for a fourth straight top hit. There is even a mention of country legend Conway Twitty and that’s never a bad thing. In the past Blake covered an old Conway song and had some big success with it. I like the little nod to the past especially done in this way where it’s almost kind of hidden in the lyric. Blake Shelton was on the cusp of stardom for years. Now that he’s a legitimate star he seems on the cusp of superstardom that could bring huge headlining tours and a good five year run where he’s on top of the world. We’ll see if things play out that way, but the talent is there and Blake seems to have the drive to do it. 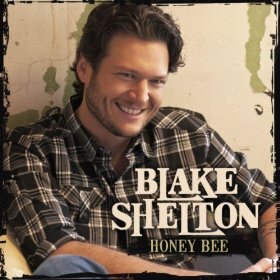 Songs like Honey Bee fit right in as the kind of cute song country fans love and play over and over. BE THE FIRST TO HEAR “HONEY BEE” NOW!